This weekend I had a lovely low-key Sunday afternoon. 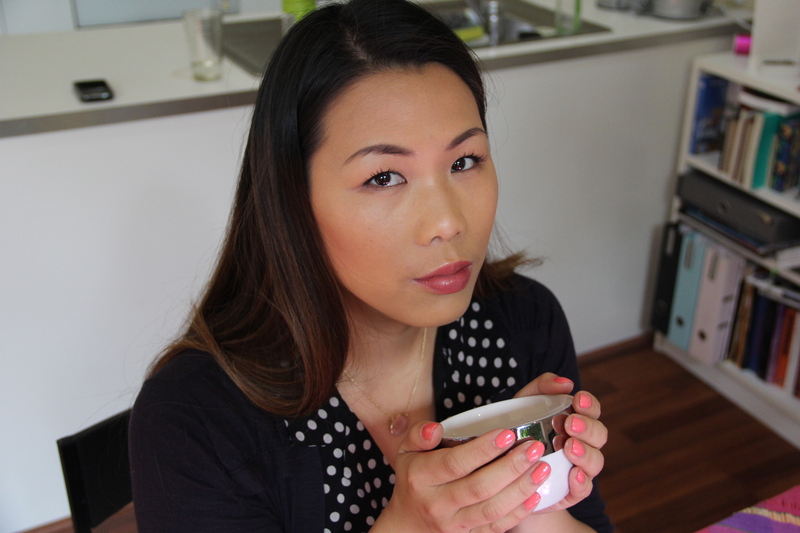 My good friend Breanna came over to have lunch and hang out with my boyfriend and I at our apartment in Carlton. Breanna happens to be gluten free just like JJ, so everything we prepared for lunch was gluten free! 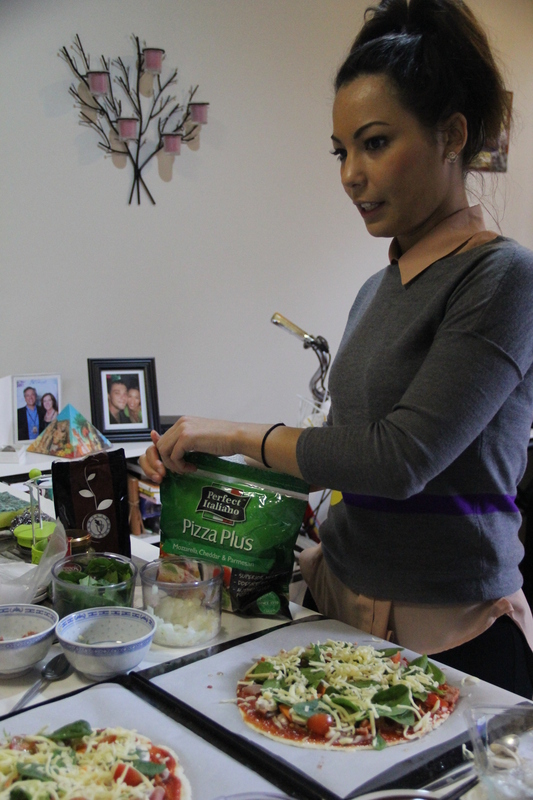 We started with some lovely Rooibos tea, gluten free garlic-bread, and made our own pizzas with gluten free pizza-bases. For dessert we ate fresh-baked gluten free baklava (see earlier post). It was a special lunch for Breanna because she hasn’t found any good gluten free bread or pastry since she cut gluten from her diet 3 years ago. We just happen to buy our bread every week from Black Ruby in North Carlton which is an entirely gluten free bakery and cafe. They are the only place I’ve ever bought gluten free bread from that actually has the same texture and taste as normal bread. 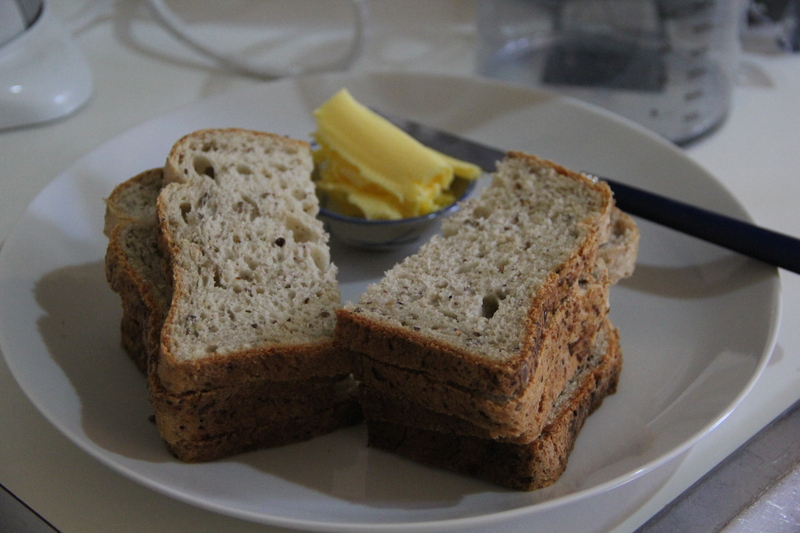 Sadly gluten free bread available almost everywhere else is like a solid brick of crumbly untasty-ness. 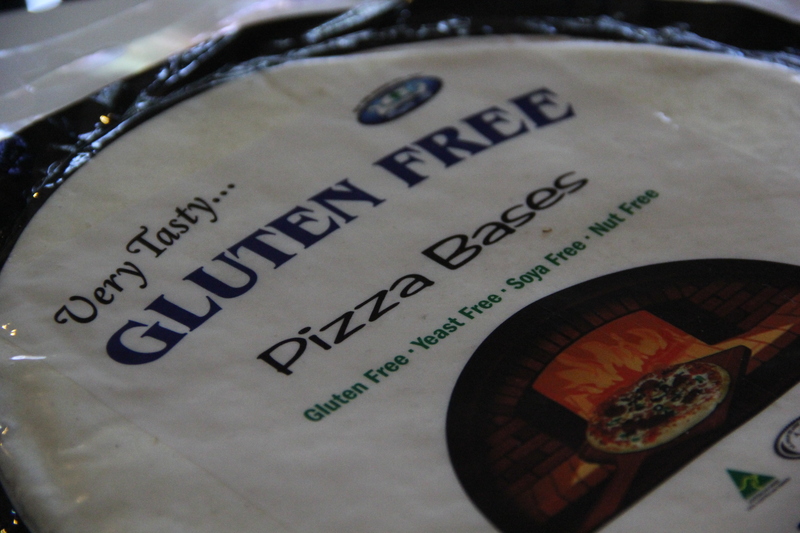 This is why Black Ruby is such a big deal for those who have gluten allergies. 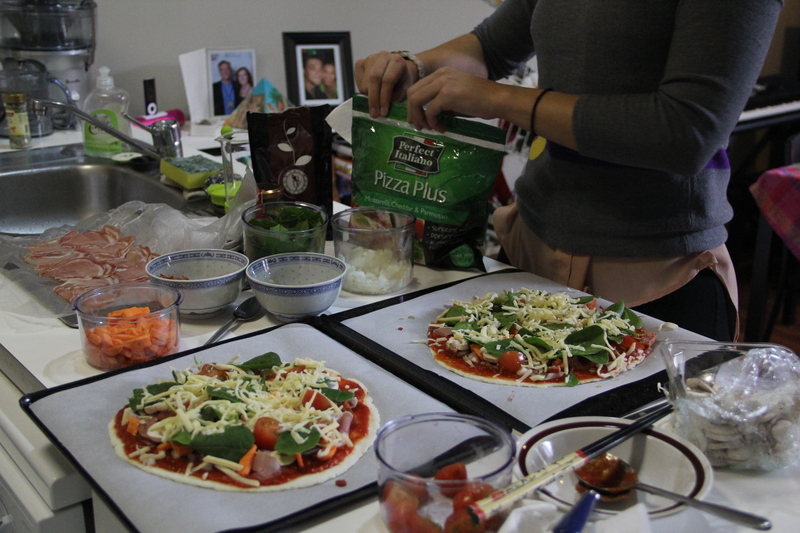 Anyway, the gluten free pizza bases can be bought at any Safeway/Woolworths supermarket and are really easy to make. We smeared bottled tomato pasta sauce on the base and added our favourite toppings and popped the pizzas in the oven for 20 mins. 1 pizza is more than enough for 1 person and I ate only 3/4s of my own pizza which was delicious. We just talked the afternoon away after lunch and played card games. Low-key Sunday afternoons are the best! Have a look at some of our happy snaps below. 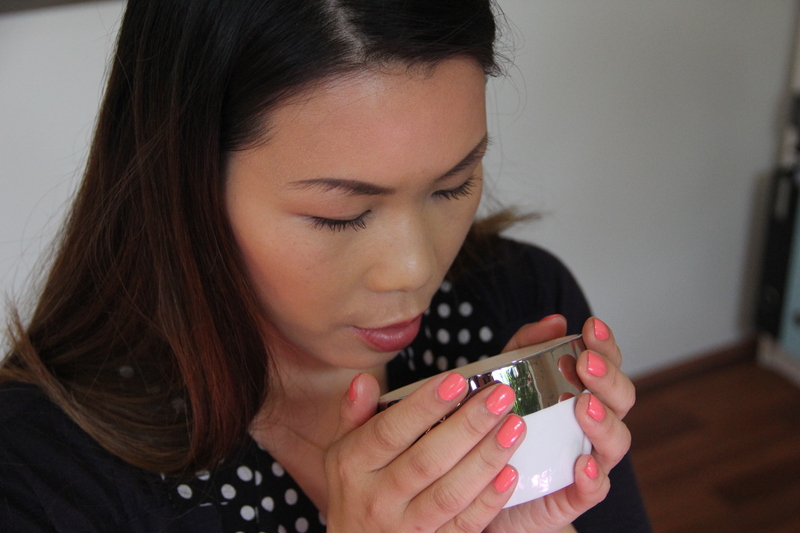 Enjoying some hot Rooibos tea! 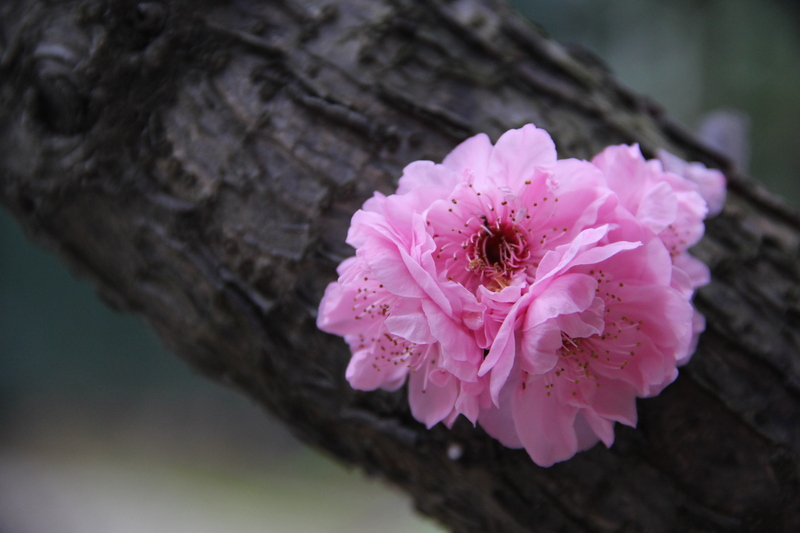 Winter Cherry Blossoms in the courtyard outside our apartment. Pretty pink Butter London nail polish in Trout Pout. Gluten free bread from Black Ruby that we made into garlic bread. 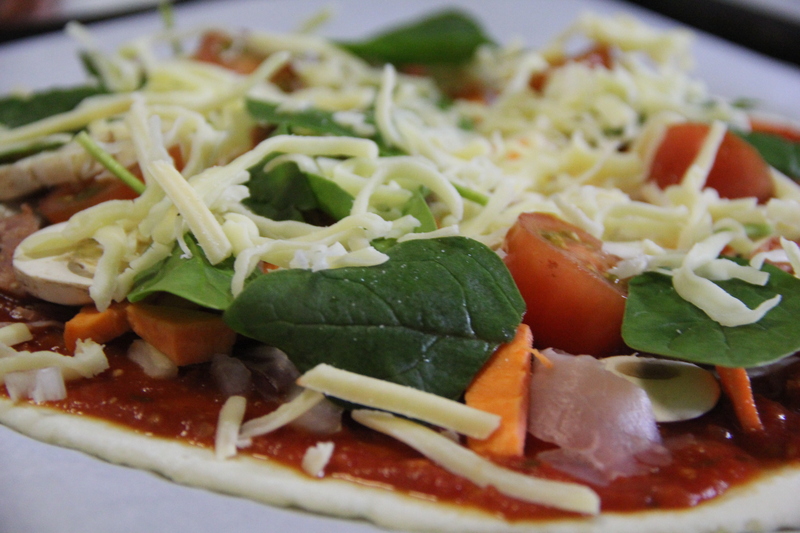 Gluten free pizza base you can buy from Safeway/Woolworths grocery stores. 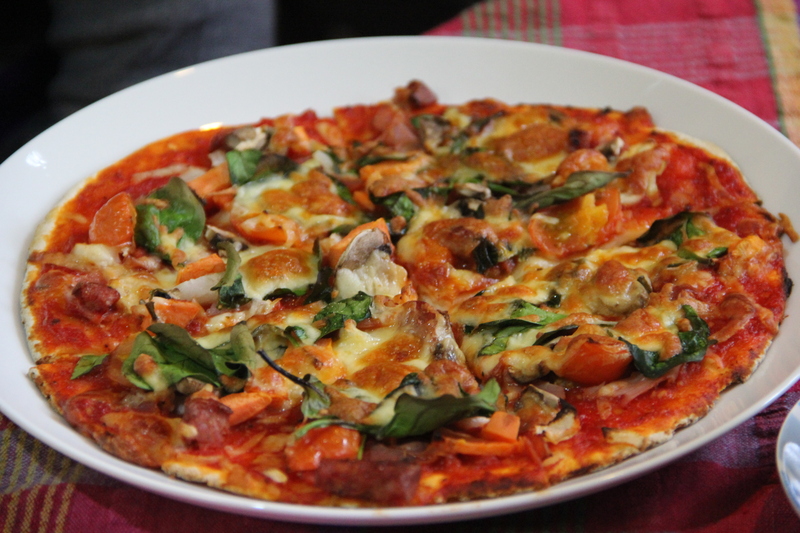 Our delicious gluten free pizzas! Lovely Breanna making her pizza.